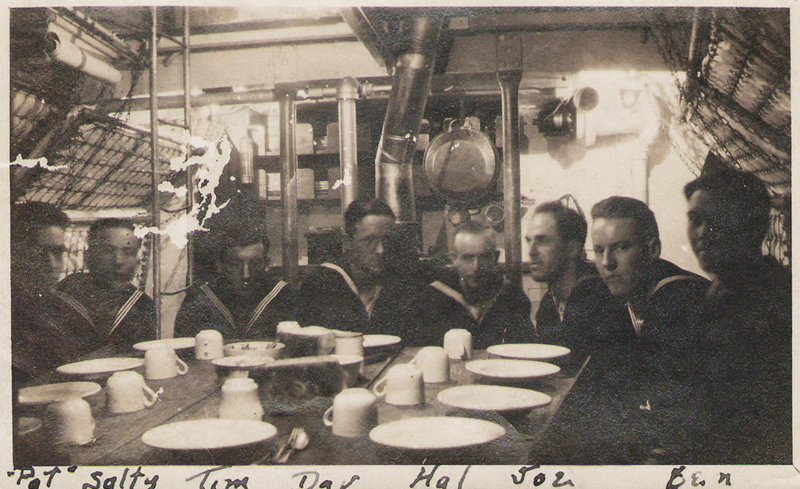 An exceptional and rare shot of the forward crew's quarters, looking aft. The coal stove stack penetrates the deck near the deck gun. The steel reinforcement members seen in the background support the area where the deck gun is mounted. From the collection of SC 181 crewman Donald Arthur Huntley, courtesy of his grandson, Dr. William W. Huntley.